As a girl, I remember visiting my grandmother and taking the walking garden tour of her backyard. As we viewed the fruits of her labor, she usually had a story to share: near dead nursed back to life; transplants from her mother&apos;s mother; and sometimes trial and error of one that just couldn&apos;t be saved. Her patience and dedication was apparent among the blooms. So, when I heard the Hendricks County Master Gardeners will host their annual "Adventures in Gardening" seminar Oct. 4 at the Hendricks County 4-H Fairgrounds and Conference Complex in Danville, memories of those times with my grandmother flooded my mind. Whether you have a green thumb like my grandmother or brown, you will be able to expand your knowledge in gardening at this one-day event. The featured speaker this year will be Stephanie Cohen, who is also known as the "Perennial Diva." Author of several books and featured on a television gardening segment once a month, Cohen knows all things perennial. 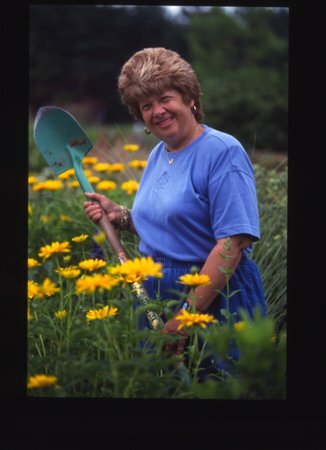 She has also taught on herbaceous plants and perennial design at Temple University for over 20 years. You will glean great knowledge from Cohen in two different presentations. The first, Native Perennials: Sustainable, Colorful and Wonderful will cover both species and cultivators. You will learn which native perennials can be used for any climate or environment, and why these flowers have gained in popularity over the years. She will also present Perennials from Spring to Fall. Learn how you can have seasonal displays in your perennial garden all year long. Whether your garden is mature or just starting, she will provide information on perennials that will shine in your space. In addition to Cohen, the seminar will also have presentations on water conservation, native plants and invasive species. You can find more detailed information on each speaker and presentation at the Hendricks County Master Gardeners website. Visitors also will receive free seeds and can meet with vendors and explore books to help expand their gardening knowledge. Adventures in Gardening begins at 9 a.m., Oct. 4 and will conclude at 3 p.m. The cost is $45 and includes a continental breakfast and lunch. Visit Hendricks County Master Gardeners online for more details.